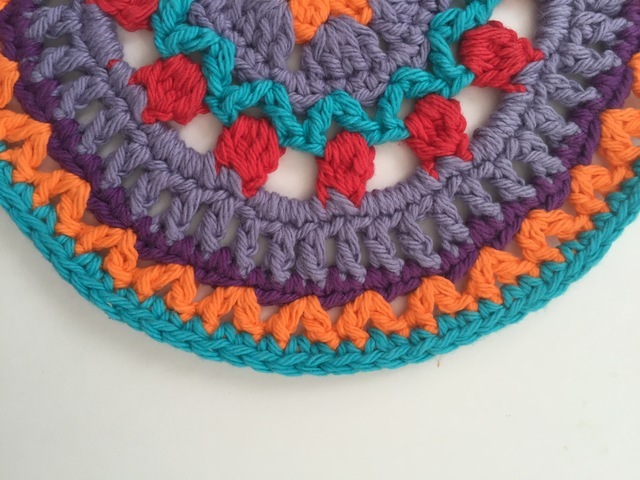 I first heard of Kathryn Vercillo through her book, Crochet Saved My Life: the Mental and Physical Health Benefits of Crochet. I’d bought it as an early Yule gift for myself a few years ago, when I was fairly new to crochet. I then found Kathryn’s lovely blog, Crochet Concupiscence. Crochet Concupiscence is a thorough blog, covering a diverse array of topics related to crochet. In addition to the “Home” page, there are currently sections for her aforementioned book, crochet patterns, crochet tutorials, and her wonderful Mandalas For Marinke project (for which I crocheted the mandala seen below). There are buttons on her blog’s home page that take you to posts about crochet art, crochet fashion, crochet tutorials, and crochet patterns. One of my favorite features of Kathryn’s blog is that she includes extensive information about vintage crochet. Kathryn diligently updates her blog at least a few times each week, but usually more. There is almost always something new to read on Crochet Concupiscence. 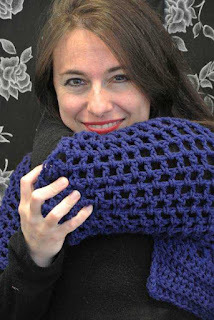 In addition to keeping up this blog, Kathryn writes for the About.com Crochet page. She must be one busy woman! I appreciate all her efforts and adore Crochet Concupiscence.